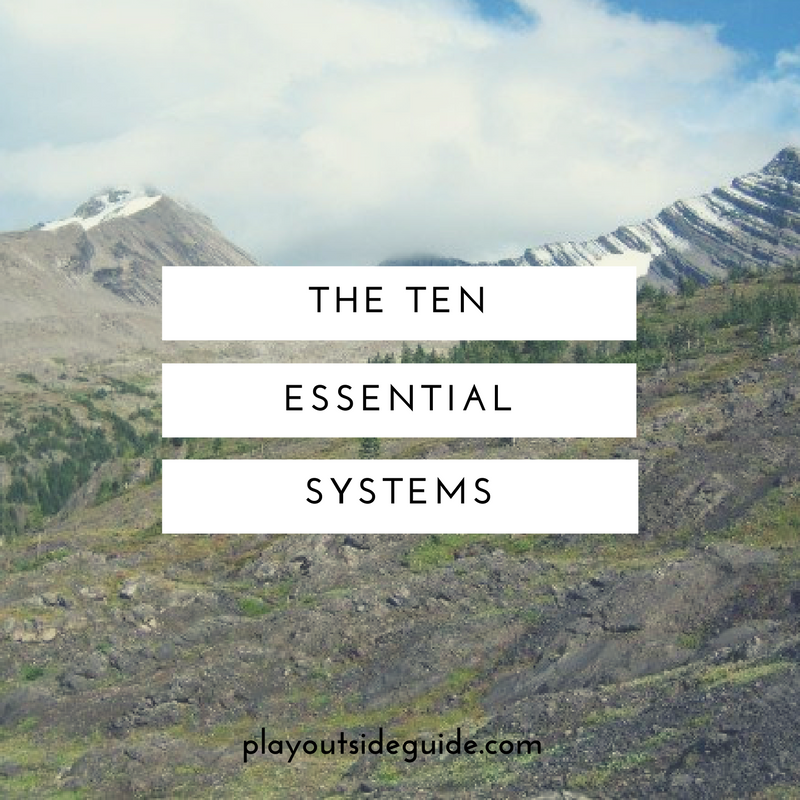 Developed by The Mountaineers (a Seattle-based organization founded in 1906), The Ten Essential Systems are critical pieces of wilderness survival gear that every outdoor enthusiast should carry on every trip. With these items, you should be able to cope with a minor emergency or survive in the wilderness for at least one night. When would such a need arise? When you get lost or injured, or are detoured/delayed due to inclement weather (snowstorm, thick fog) or a natural disaster (mud slide, avalanche, flash flood). 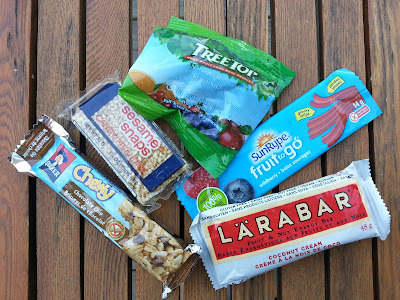 Here are the essentials that live in our packs and give us peace of mind. Disclosure: This post contains Amazon Affiliate links. I earn a tiny commission on items purchased through these links at no extra cost to you. Earnings go towards maintaining this website. Thank you for your support! 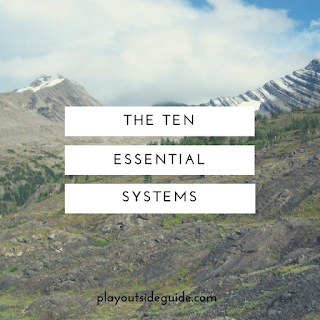 Formerly known as the ten essentials, there are now ten essential systems to cover your basic needs. While I've tried to stay true to the original systems, please note that I have combined Insulation and Sun Protection in order to include signalling devices. You have a much better chance of being rescued if you can let others know where you are! I've also added bear spray to the list since bears live in more of our province. For more details - and the original Ten Essential Systems - please see Mountaineering, The Freedom of the Hills. 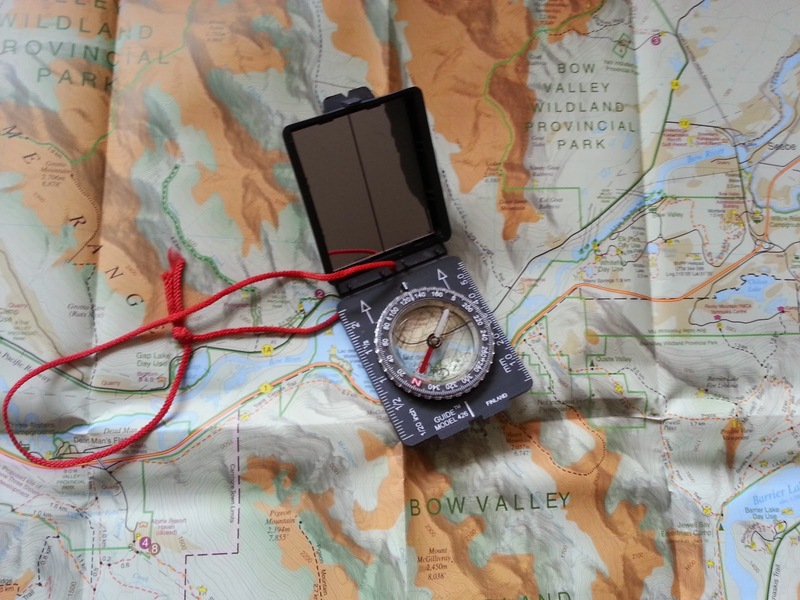 Navigation: A topographic map & compass/GPS (plus extra batteries for the GPS) are essential, but only useful if you know how to use them. Practice frequently in familiar territory. Copies of route descriptions from guidebooks (photocopied and placed in a Ziploc bag) are good to have also. Recommended topo maps: Gem Trek waterproof maps. If your map isn't waterproof, keep it in a Ziploc bag. Recommended compass: Suunto A-10 or Silva Ranger. Call me an old school geographer, but I prefer a compass to a GPS as it doesn't rely on batteries (and is a lot smaller and lighter!). The sighting mirror on the Silva can be used for signalling too! I always carry a Gem Trek map and compass. 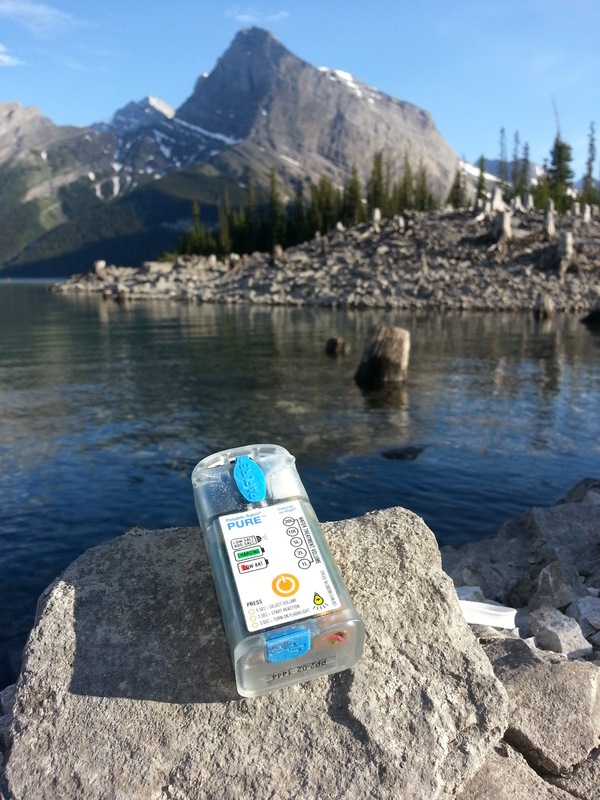 Hydration: Water is critical for survival, so be sure to carry a water bottle/hydration pack filled with at least 2 L of water, as well as a water filter, purifier, or water purification tablets/drops to treat more water on the go. Recommended products: Katadyn Hiker Microfilter, Potable Aqua PURE Hydrolytic Water Purifier, Steripen UV Water Purifier, LifeStraw Personal Water Filter (for emergency use - light enough to put one in each of your kids' packs). To learn more about the Potable Aqua PURE device and how it compares to filtration and UV purification, please see: Potable Aqua PURE Electrolytic Water Purifier Review. Special Note Re Cold Weather: When it's around/below freezing, I carry my ultralight backpacking stove, so we can melt snow for hot drinks. Don't forget a pot, cups, and cocoa! The Potable Aqua PURE can treat up to 20L at once! First Aid, Medications, & Insect Repellent: Keep all first aid supplies in a waterproof bag with any medications you use (inhaler, epipen). I recommend adding the following items to your first aid kit if not included: Benadryl, Advil/Tylenol, pointy tweezers, Polysporin ointment or Polysporin To Go Spray (contains topical anesthetic to dull the pain; great for kids!). Recommended first aid kits: We have Adventure Medical Kits in various sizes. 0.5 is good for day trips; get the 0.7 or 0.9 for family multi-day trips. All items are packed in high quality zipper sealed bags and the outer silnylon bag is waterproof, made of ripstop fabric, and ultralight. Recommended insect repellents: PiActive contains picaridin which does not dissolve synthetic clothes like DEET. Ben's is a concentrated 30% DEET formula which protects against ticks and comes in a small pump bottle which is just the right size to keep in the top of your pack. Recommended post: Which Tick Repellents to Use and How to Use Them. 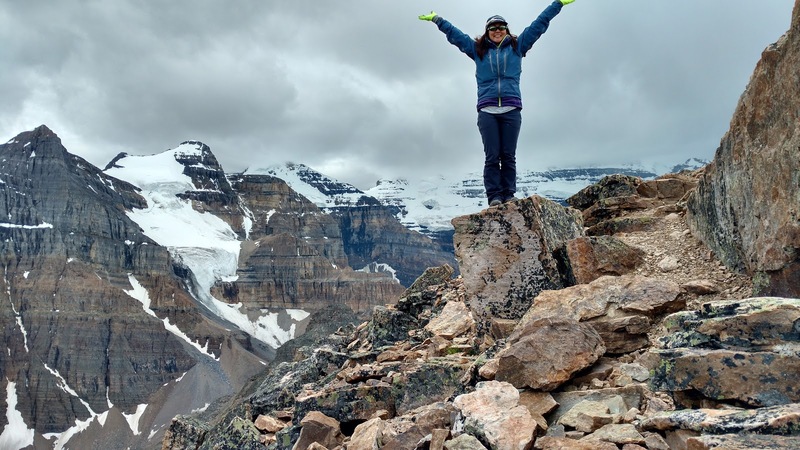 Insulation & Sun Protection: Needs will vary depending on where you live, but in the mountains near Calgary, you should carry one insulated layer and one waterproof, breathable layer, insulated gloves, a hat, and mesh headnet to protect against biting insects. A toque (beanie) that covers your ears is great for cold weather or breezy summits, and in winter, I strongly recommend mittens and hand warmer and foot warmer packets. For sun protection, wear long, lightweight, breathable layers (pants, not shorts), a hat, sunglasses, and sunscreen. Recommended insulating layers: MEC Spicy/Commix Down Hoodie or Patagonia Down Sweater. A Primaloft or fleece hoodie is a more affordable option that is very warm for its weight (but not as compressible as down). Recommended outer layers: MEC Goretex shell, Patagonia H2No shell, Outdoor Research Clairvoyant /Axiom Jacket - basically, you should get something durable, waterproof, and breathable. Recommended sunscreens: Soleo Organics All Natural Sunscreen, Goddess Garden Natural Sunscreen, Banana Boat Natural Reflect Sunscreen Lotion. For more information, please see Keeping Warm in Spring/Fall and Keeping Kids Warm in Winter. Emergency Shelter: Our #1 choice for family trips is made from a Siltarp (silicone impregnated tarp), paracord, and hiking poles, but other options include a bivy sack, space blanket, plastic tarp, convertible tarp poncho, and large, orange garbage bag (orange for visibility). While we've never had to camp under the tarp, it has come in handy as a sun/rain shelter and gear shed at camp! Signalling Devices: A whistle, mirror, and headlamp are the basic signalling devices that everyone should carry. You can signal SOS (Save Our Souls) with 3 blasts on your whistle. To signal distress with your mirror/headlamp, make 3 short flashes, 3 long flashes, then 3 short flashes. Use your mirror during the day and headlamp at night. You can purchase a signaling mirror, or use the sighting mirror on your compass (my preference so I don't have to carry multiple items). If you can afford it, a Personal Locator Beacon (PLB) such as the Delorme InReach SE is an excellent tool that allows you to send messages with your location to check in with family or request assistance. Other options are cell phones and satellite phones but cell phones are not of much use once you're out of range. Recommended whistle: A high quality, pealess marine whistle like the Storm All Weather Safety Whistle, Ultimate Survival Technologies Jetscream Whistle, or Fox 40 Classic Whistle. Every person in your party should have a whistle. Storm whistle shown above. Fire Making Kit: I strongly recommend carrying more than one fire ignitor and some fire starters in a watertight container so you can get a fire going in case of emergency (best practice is one on you and at least one in your pack). After our canoe capsized, we lost our stove, but still had our fire making kit, so we could warm up and dry off. A fire not only keeps you warm and provides a sense of well-being, it can also be used to signal for help (3 fires in a triangle is a universal distress signal)! Illumination: An LED headlamp and spare batteries should live in your pack at all times. Check the batteries frequently and replace as needed. Recommended headlamps: Petzl Tikka XP, Black Diamond Spot. 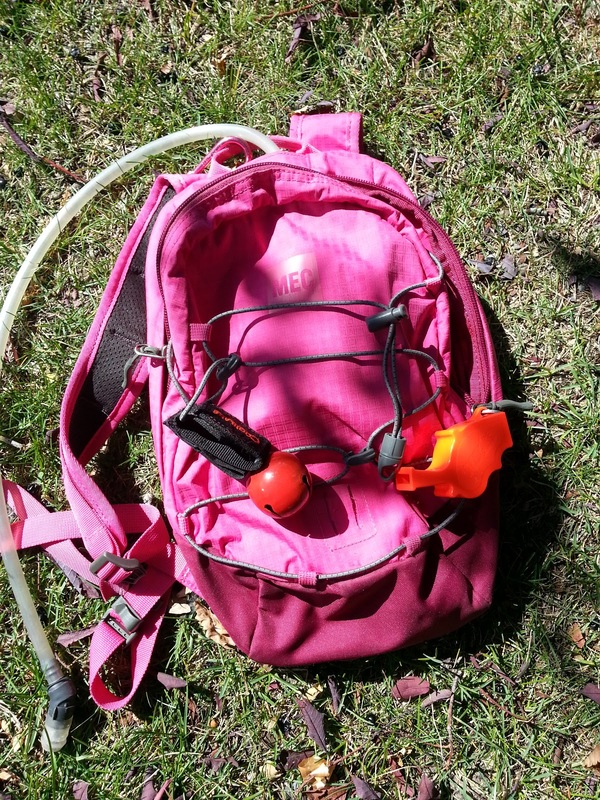 Repair Kit and Tools: Always carry a knife, several metres of paracord (for rigging a shelter, making a gurney, tourniquet etc), duct tape, and zip ties. A multi-tool or Swiss army knife is handy, and an ice ax - and knowing how to self arrest - is a must for glacier/snow travel. Tip: Make paracord into a paracord bracelet or tie it onto your knife handle for easy transport. BONUS: Throughout most of Alberta, bear spray is a must, but there are many precautions you can take that will minimize the chance of ever needing to use the spray. 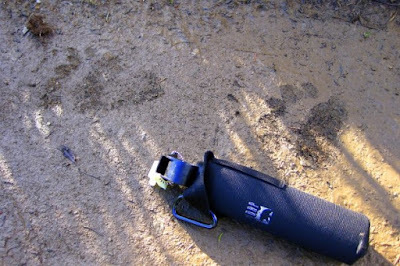 For more information, please read 10 Bear Safety Tips for Hikers and Backpackers. I have a system for the systems with food in one stuff sack, extra clothes in a waterproof stuff sack, and survival gear in a large Ziploc bag for visibility. Compartmentalizing makes it easy to transfer items if you frequently change packs (I use a 60L for family adventures and a 33-40L pack for kid-free trips) and ensures nothing important gets left behind. 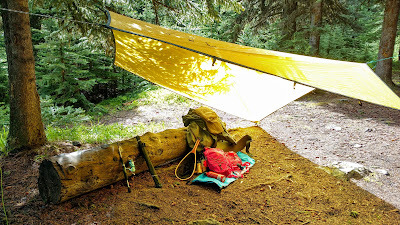 Recommended stuff sacks: Outdoor Research Ultralight Stuff Sacks. After each trip, be sure to replenish consumables (extra food, bandaids, etc) as needed and check/recharge the batteries on headlamps, water purifiers, GPS, personal locator beacons, etc., so everything is in working order when you need it. Think of The Ten Essential Systems as insurance. You will hopefully never have to use all of them, but if you do, you'll be glad you packed them! Have you ever had to make an unplanned bivouac? What do you wish you knew then that you know now? Thanks Nicky! It's a balancing act, isn't it? You want to make sure you have all the essentials but not be overloaded, especially when carrying gear for more than yourself. I find clothing to take up the most space up here, but we can't go with too little as it's so cold at night (even in summer)! Hello, I will continue reading your recommendations, but your advice about the Deet bug spray dissolving hiking clothing is a big surprise to me. I will begin looking for the alternative you recommended. I am of the opinion that while even a little extra weight can make a long hike difficult the benefits of having the necessities outweighs the downside; particularly during one hike where I received a country hornet sting (nothing like those wimpy city ones...unfortunately) and a woman collapsed of dehydration. I had extra items to assist the fallen hiker until medical assistance arrived. Now I am hypervigilant about being prepared. 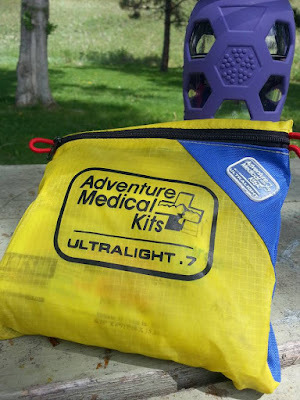 What I say to hiking friends that you may never use your medical kit or extra fluid etc., but perhaps someone else will need it. I think it is a positive perspective to take as it is in line with the code of hiking/ers. Hi Scott, Thanks for reading! I totally agree the extra items are worth carrying. I'm fortunate to have never been in a survival situation, but have been delayed due to weather or others' minor emergencies.